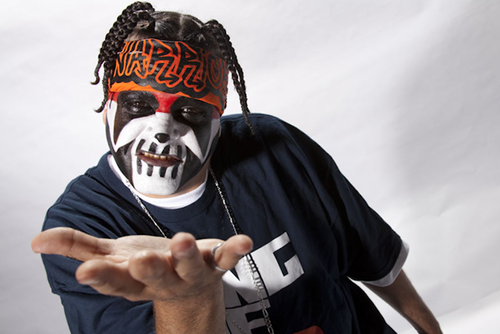 Earlier today, the homie Anybody Killa announced an exclusive Valentine’s Day show in Columbus, Ohio. 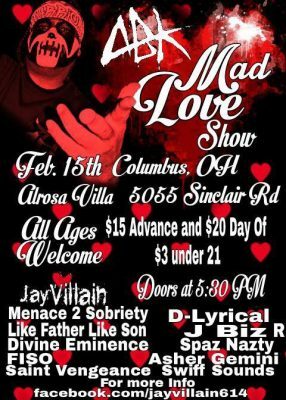 Dubbed the Mad Love Show, the concert will be one day after Valentine’s Day, on the 15th. The venue is the classic Alrosa Villa, and tickets are $20 day of show, $15 advance. This is in addition to ABK‘s New Year’s Eve show in Warren, Michigan. So if you’d rather catch ABK and the crew in Ohio instead of Michigan, here’s your chance. ^ dumbass no one said it was Psychopathic news!!!! And this site covers way more underground news then Just psychopathic! It actually says up at the top “psychopathic news”, so let’s watch where we are throwing the “dumbass” phrase around! Abk makes me laugh. Then he makes me sad. Mostly he makes me laugh though. What’s the matter milkyslidder did momma not let u finish last night?